1.0.5 Myth 5 – Social Signals Have No SEO Value. Ranking in Google’s top search results has become an important mission for businesses. Consequently, both the value and demand of SEO (search engine optimization) have increased a lot. Marketers know what is SEO but want to know the magical secrets for getting higher rankings in the search results. At the moment, SEO is the most searched topic for web entrepreneurs. If you search ‘SEO Tips’ on the internet you will get loads of queries and articles related to it. According to research, the conversion ratio of search traffic is 9% better than social media traffic. However, along with the popularity and demand, the optimization world is caught up in a lot of SEO myths and misconceptions. Some of the myths are really funny to read but a few of them can actually harm your efforts. So here we’ve exposed some of the most common SEO myths that we’ve encountered, and have provided the real truth behind those myths. Scenario 1: You started an SEO campaign for one month and it gave you no results and now it seems useless to you and consequently, you halt the campaign. Scenario 2: In the second situation, you started the campaign for the same duration but it gave you positive outcomes and you halt the campaign as you are satisfied with the results. In both situations, it doesn’t matter what the outcome, you are convinced that it was your last campaign. A big spoiler… right? SEO is not a magic wand that swirls once and all the work is done. It’s a never-ending process that involves planning, strategies, time, and hard work. It takes time to kick in and you need to understand it. In the first situation when the result was nothing, you should understand the reasons behind the failure, instead of halting the campaign. In the second situation, you felt that you had achieved the desired results and that it was a great enough outcome for you. But you are making a big mistake as search engines keep updating their search results algorithm for a better user experience. And without constant improvement and maintenance, the whole thing falls into degradation. Obsolete content – You must always be thinking about updating your content and web pages as search engines update their algorithms. Content can become obsolete to users as time passes because it becomes irrelevant when competitors are discussing new information and yours is stuck in the dark ages. Continue to update your content even if it’s every few months to a year. Your competitors are moving ahead of you – Again, if your competitors are smart enough, they’ll be producing content that will be more relevant than yours. Compete by understanding that you need to always be checking for how to rank your pages. Updating algorithms will affect your SEO – Search engine algorithms will sometimes change drastically. Google has produced many algorithms that just keep growing over time in order to provide users with the best experience possible. Each algorithm comes with a set of rules that you must abide by, so do your best to check in on algorithm updates. You’re missing new opportunities to look better in the SERPs – Local SEO keeps changing. It might look different today from yesterday. They have evolved to become a complex structure consisting of local listings, rich snippets, videos, images, shopping results, social results and much more from a simple organic listing. Who knows, there might be a new feature tomorrow! One should always be educating themselves since SEO is not a one time only task. SEO is dead! – One of the biggest SEO Myths that should be put to rest. It’s really annoying when people say ‘SEO is dead’. They don’t understand the fact that as long as there are search engines, SEO stays alive. For any key term (keyword) that is entered in search engines, you’ll be presented pages related to that search term; this is called SEO. If you see ads, that’s mostly PPC marketing, a different strategy to gaining conversions. SEO is certainly not dead. It’s just changing and updating with time. If you compare outdated SEO methods with today’s SEO approaches, you will see many improvements. We know it’s annoying when you don’t have a successful strategy for your SEO efforts and you’re not getting your expected results. But, SEO is such a massive domain of conventional and new approaches that it’s silly to say that: “SEO is dead”. And definitely, if you’re using old and obsolete SEO tactics that used to be effective before, but now they’re outdated, you won’t be succeeding in the SEO game. Despite the fact that there’s a strong connection between search ranking and click-through rates, the first position ranking should not be your ultimate end goal. Recent studies have shown that searchers prefer mostly the top-three listings in the result page. So definitely, top rankings do not always assure more success. Hypothetically, it can even be possible that you may be ranking well for a phrase, getting loads of traffic on your website but not making a single penny from it just because your search result did not look appealing or the website is ranking for the wrong keyword or may be your titles did not catch the eye of the user. Do you really want this? This is the biggest myth that higher ranking results in higher search traffic. Ranking in the 1st position is great, but spending a huge amount of money just to rank for an irrelevant high search volume keyword is just a waste of time, money, and effort. Other companies have been ranking and purchasing that keyword longer than you. Your SEO strategy should be focused on relevancy. Your keywords should be highly relevant to your business so that your customers can find you easily and you can generate more traffic and leads. This myth is absolutely wrong because SEO is neither cheap nor is it easy. Rather it’s a complicated and ongoing process that takes lots of time and money to position your web pages on the SERPs. In this process, you’ve got to compete with several businesses in your niche to maintain search engine ranking. They’re trying to rank for that keyword as much as you are, and they might be willing to spend more to get there. In reality, SEO is not cheap; it’s just pretending to be inexpensive. 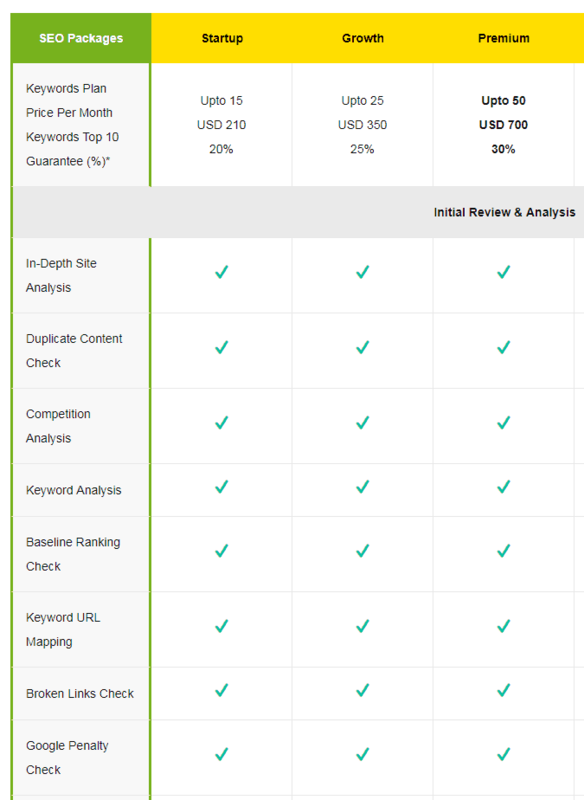 Here the SEO packages for newly launched businesses are below $350. Undeniably, the offer seems attractive to you but in reality, it’s just an illusion. According to Google’s algorithm, acquiring crappy backlinks can be very risky for your website. Myth 5 – Social Signals Have No SEO Value. Social signals and SEO’s relationship has always been the subject of discussion. If yes, how does it happen? According to search giant Google, Facebook likes or Twitter “tweets” don’t count as a ranking factor for a website. Consequently, social signals don’t matter to SEO. But, this proclamation is only half correct. The fact that search engines don’t count Facebook shares, tweets, and followers as a search ranking metric directly is true. However, effective social media activity can influence your SEO efforts indirectly. Search engine indexing: Google has started to take social signals into account and help your website rank better in the search results. Social signals means the collective likes, shares and overall social media presence of the webpage as perceived by search engines. These activities help the page’s organic search ranking and are similar to backlinks except their purpose is designed to be more of a traffic drive rather than a ranking tactic. Distribution of your content visibility, which helps in improving user engagements and results to links and shares. Here is a Flowchart by AJ Kohn, explaining the relation between Social Signals and SEO effectively. High-quality keyword research is a very important step when you’re planning your blogging and content marketing strategy. If you want your strategy to be successful then absolutely you can’t afford to ignore this step. There is no such update even nowadays that deteriorates the significance of keyword research in SEO. Keyword research still plays an important role in a successful SEO strategy. Just keep in mind that you don’t over-optimize it with excessive use of keywords in your content; this will result in a penalty from Google. Use relevant keywords to play it safe and focus on the user intent behind the search. This will help you to draft content which is relevant and more useful to the users. Also, avoid keyword stuffing since it affects your website negatively. Here is an example showing a piece of content stuffed with keywords. So, change your approach as the search giant’s only goal is to help its searchers to find useful as well as relevant information. People are often misinterpreting that exact match anchor text in content is completely required. But it’s a slouch! Once upon a time, there was an easy way to achieve a higher ranking in Google on a particular keyword. Just put your keyword in the article as an anchor text and whoosh: ranking improvement. The old exact match anchor text technique doesn’t work anymore. With the arrival of latest Penguin update, the search engine giant recognizes this method as illogical and unacceptable. Now, Google calculates the proportion of exact match anchor text to the websites. This may result in the downfall in search ranking as well as in search engine credibility. So, ensure that your keywords are incorporated in a way that it makes sense. Use a variation of keywords in your headline, URL and at least one time in the content. Along with variations don’t forget to include long-tail keyword phrases. You must have heard that content is king, but it is not entirely correct. Let’s assume that content is king; then people who spin the same content repeatedly should be on top in the search rankings. But it doesn’t happen, right? Many spammers used this technique to try to rank higher on search results but it has no use. In reality, this idiom is needing to change a bit. It should be Valuable content + Great SEO strategy = Higher position. It’s true that search engines give importance to fresh and valuable content but this doesn’t mean that the content itself will crawl and index without any effort. Yes, someday the crawler will discover and index your content, but is it enough for you? Definitely not! To attract search engines you need to help crawlers discover your recently published content. 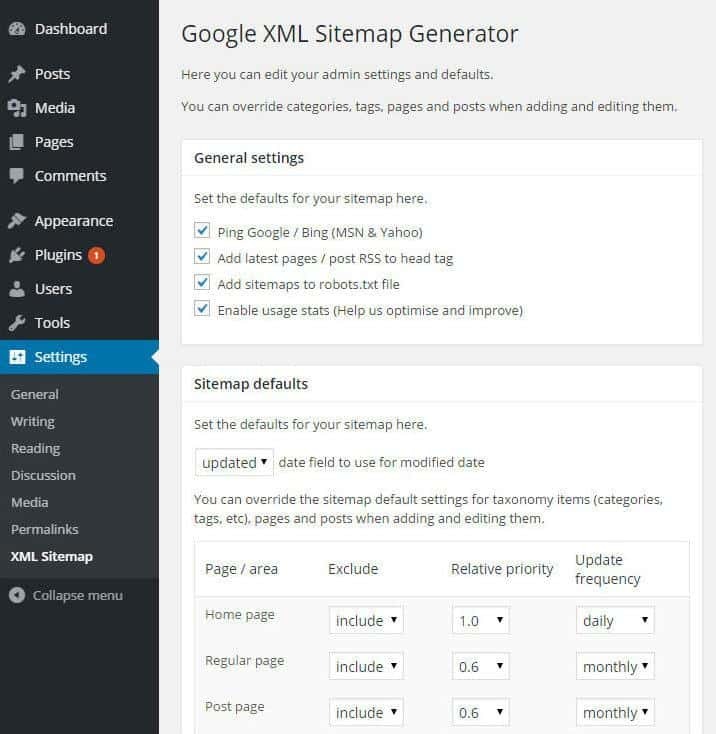 To make this process easy you can install a WordPress plugin such as Google XML sitemap generator. Creating and submitting a sitemap to Google will help Google’s bot effectively crawl all of your active pages on your domain. This means that Google will understand where each page is located on your website and which pages it shouldn’t include in the SERPs. As soon as you publish new content, the plugin will automatically generate a new XML sitemap and will send a notification to the major search engine directories. This will help search engines discover your recently published content and index it faster in its database. You can use the Pingomatic tool as well. 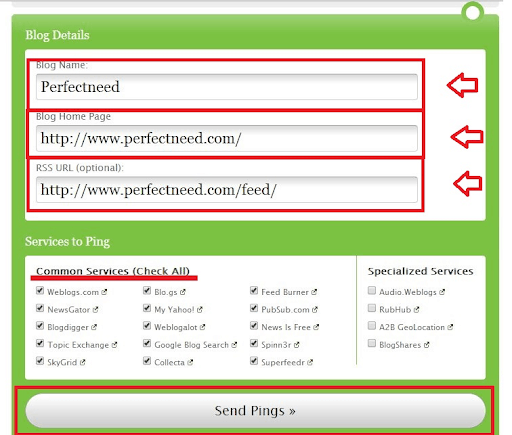 The tool allows you to speedily ping a lot of web directories to inform them about your newly published content. SEO has changed a lot and some marketers aren’t aware of what is obsolete and what is trending. A homepage doesn’t need to be stuffed with heavy content in order to be effective for your website SEO. Treat your homepage as a gateway to your business, and design your homepage accordingly! Your homepage should contain content to the point which reflects your products and services aptly. It should cover all the required information related to your business, but how you format your layout to include this information is a vital point since we’re going for optimization here, not excessiveness. Google understands every page’s content, how its structured, and how it should be optimized for a better user experience. Your homepage content needs to be long enough to explain about your business, about your work and your locations. This will help your visitors know and understand you better and there will be no confusion in their mind. The announcement created a buzz amongst marketers and lead to the instant debate against guest blogging. Technically, there is no difference amongst guest blogging content and other forms of content. If your content is spammy, whether it’s a guest post or other form of content, then be ready to face the penalty from the search giant Google. Avoid crappy guest posts, instead write high-quality posts for the audience, website, and searchers. Take out time to build relationships with those whom you want to write a guest post for. This will improve the chances of receiving a yes for your content and getting it published. Don’t overlook the importance of contextual links that can get you more credibility because of linking to authoritative sources. Don’t compromise with the quality of the content. The better the quality the more the readers will be happy. You must have heard it many times that “link building is dead” or “link building is dangerous”. But the fact is, links are vital and will remain one of the major ranking factors. 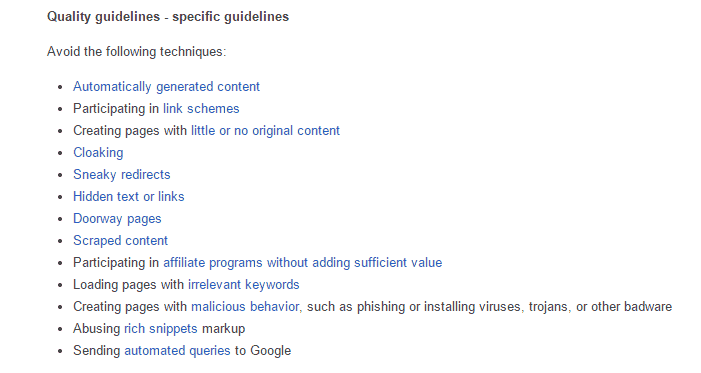 Some people are afraid of Google penalties and don’t want to get involved in link building. These people think that the link building doesn’t work for their business, and so they use PPC instead of SEO. These reasons gave birth to this myth. The truth is that link building is an important part of your SEO strategy, if not the main strategy. But you have to create real links that are related to your website and add value to the web. Making low-quality links is similar to giving an invitation to danger. If you want to improve the ranking of your website through low-quality links, then surely, link building is dead for you. So, create a good network for building backlinks, and use informative and superior quality content that adds value to the readers and encourage other websites to link with your content. There is no relation between paid search and organic rankings. The organic search results come from the index database, while PPC’s sponsored links are based on your bid and total investment. According to a recent report by MarketLive, the conversion rate of PPC ads for e-commerce is 35%, which is much higher than organic traffic. 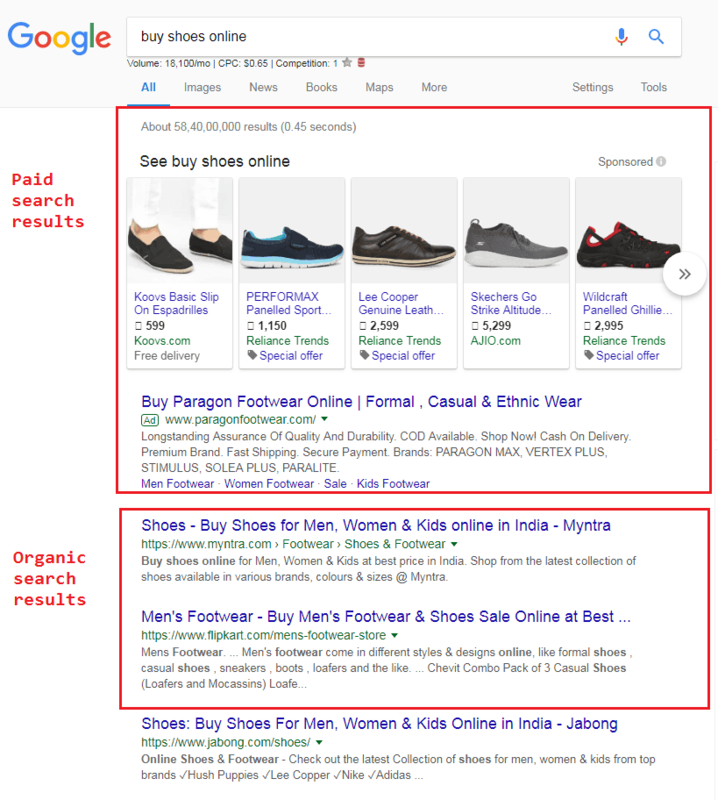 Organic search results are not related to paid search. Paid advertising methods such as PPC, does not influence your organic rankings. Popular search engines such as Google and Yahoo, strictly maintain a division among the organic results and paid advertisements. However, the click-through rates on paid ads can help you to identify the best keywords for your business. So, as a conclusion, there is no second thought on the fact that paid ads can help you in finding best keywords to improve your conversion rate of organic results, but it won’t influence your search rankings. Purchasing thousands of links at just $5 per link may sound like a great deal for you, but in reality, it’s a worthless deal. Such kinds of backlinks are generated automatically and can have a bad effect on your website. Stay away from automatic ways of link building, which are produced by bots, such as forum posting, blog commenting, and others. Many organizations are using automatic ways of link building, but they didn’t realize that it doesn’t help them to improve their search rankings. And even If this technique works then it will not be of any use since those results will be temporary. So, mainly you are wasting your time and effort in doing it. Here’s what Google shared on its blog. For a long period of time, people were neglecting the importance of images on a website. And they were ranked well without using any alt text and image optimization. But now on-page SEO has changed and become more significant than ever, thus excluding images will not only make your website unappealing but also it will prevent your website’s SEO from being the best. Search engines are not able to read the images on a website, so adding image alt text and a proper file name will help Google to know about the image. Also, by excluding these details, you are leaving a golden opportunity to improve your visibility on Search results. Along with alt text and file name you should also mention the location of your image in your content as well. Moreover, use your keywords similar as alt text/filename of the image. Google also appreciates descriptive titles and captions for an image. 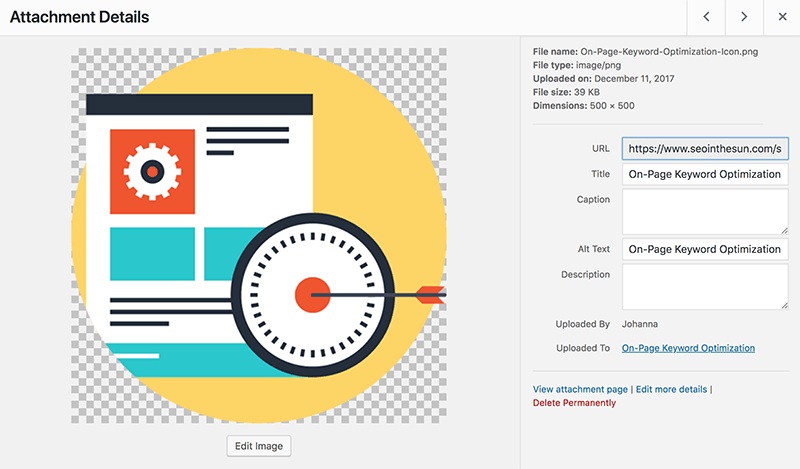 Here is the type of image indexed by Google – BMP, GIF, JPEG, PNG, WebP, and SVG, so ensure to only use these file extensions for your website images to make it easy for Google to index them. Over the past few years, mobile SEO has been the main focus of marketers to attract customers. The optimization industry has changed a lot with the increasing popularity of mobile devices. As roughly as 57% of mobile users will not recommend your business if it is a poor mobile-friendly website. So mobile optimization is not just an option for your websites but a mandatory step for all organizations. At present mobile has become the backbone of marketing. Organizations having obsolete websites which are not mobile responsive will face the consequences. In reality, they are losing a huge portion of potential customers. According to a report, websites which are not optimized for mobile have an organic traffic turn down rate of nearly 5 percent. The best way to minimize the loss and attract new visitors is to implement a mobile responsive design. A mobile responsive design will improve the experience of your visitor on mobile devices. Moreover, it will present information that is sized and optimized properly so that it becomes easy for the visitors to operate your website on all devices he or she is using. Are you still thinking that – The more the pages, the better the ranking? I don’t think so…. Actually, there is no definite answer to this issue. 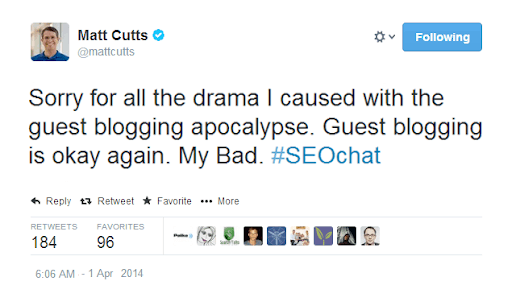 Even Matt Cutts was pretty unclear about this. He said several times, that a huge website with a lot of web pages doesn’t affect your ranking directly. Though, he also believed that having a large number of web pages give an opportunity for marketers to use better SEO practices and rank for various keywords that would not be possible with smaller websites. Hence, having a lot of web pages won’t affect your ranking, unless all pages of your website are optimized properly for search engines. Thus, if you are spending a huge amount of time and energy on creating a lot of web pages for your website, without optimizing it properly for search engine results, then you are wasting your time and will not get any benefits. Whether your website is brand new or very old you must have heard that you must submit your website to Google. Is this really necessary to make your place on the World Wide Web? Absolutely not! The Googlebot will automatically discover your website or any other websites and will add it to its search page index. This process doesn’t require any special submission at all. Moreover, if you do submit your website, then it doesn’t assure anything. The bot will work in its own way only! A lot of people do not have a technical background; many don’t know how to code. However, one understands the importance of technical knowledge. Implementing structured data, also termed as schema markup, to your website is one of the important and little technical things in SEO. It boosts your website SEO and helps in increasing your search rankings. But, before implementing the structured data you need understand and learn it first. People often misinterpret it and declare that structured data is too complicated to implement. Structured data is the “additional” information that you will see along with a website and Meta description. It not only helps search engines to crawl your site but also helps in understanding it. For example, if you are looking for a hotel on Google, you will not only see the name of the hotel, but extra information such as pricing and rating as well. If structured data is not implemented on your website, then you are losing a golden opportunity to rank higher in the SERPs. Now you must be thinking how can a non-technical person implement structured data for your business? So, to halt this myth here is the answer: You don’t need to learn coding to implement structured data. However, if you are from a technical background, then it will be a bonus point for you. You just require taking out some time to get familiar with structured data and how it works. You don’t need to get trapped into complicated or technical terms. You can simply automate the procedure to make your work easy. However, you should know what structured data is and why it’s so essential for SEO. Although it’s a technical part of SEO, it’s certainly worth learning. You’ll expand your knowledge and skills that will benefit you in improving search rankings. The internet is filled with loads of SEO myths, and people follow them blindly many time. It might increase as Google Voice Search is rising and it might one of the game changer before 2019 ends. However, you’ve to decide which one is true and best for your business. The main search engine goal is to satisfy its users and act more like a human; you need to think like an ordinary searcher to realize what everything should look like. Jaydip Parikh is the founder of Tej SolPro, an Inbound Marketing Company based in India. Jaydip has more than 15 years of experience in the field of sales and digital marketing. He has taken lectures on various topics of digital marketing at numerous renowned institutes. He regularly speaks at various conferences and events, both online and offline. He is known as Jaydip Baba in the digital marketing industry. You can follow him @jaydipparikh or connect with him on Facebook.